On Saturday, I attended the horse trials at the Horse Park of New Jersey. I was hoping to get inspired to maybe participate in a little one with Wizard next spring, but I was actually intimidated, even at the low levels. We have our work cut out for us! I stopped by the barn and gave him some snacks and grazed him. On Monday, I stopped by my friends’ barn to visit them and their horses. Miss Tuesday’s owner was concerned about how she was moving, so I hopped on and trotted her around in each direction, both on contact and riding loose on the buckle. Tuesday is a lot of fun to ride- she has a nice internal rhythm and is very focused on her rider. And her County saddle is REALLY comfy! Next stop was my barn, where Wizard and I rode on the trails with Kris and Lawman. Aside from the horrible summer flies, it was a fun ride. We trotted for the middle leg of the ride, and walked the rest. 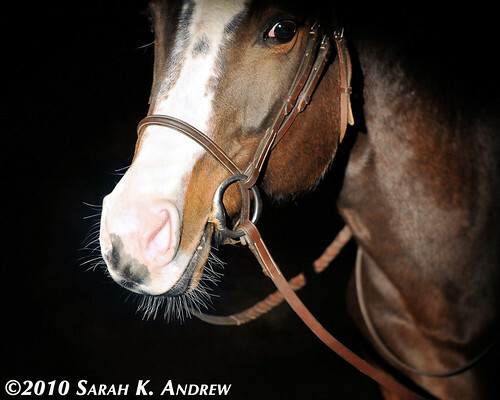 When I got Wizard back to the barn, I did a little arena work with him, mostly letting him go at a relaxed canter.